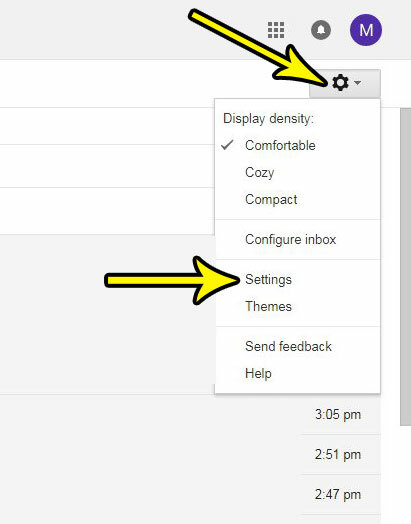 Your Gmail inbox can fill up very quickly if you have an active email habit. Whether it’s personal, work, or promotional emails, it isn’t unusual to receive over 100 emails a day. If your Gmail account is currently set up to display 25 conversations per page, this can make scrolling through all of your new messages a bit of a chore. 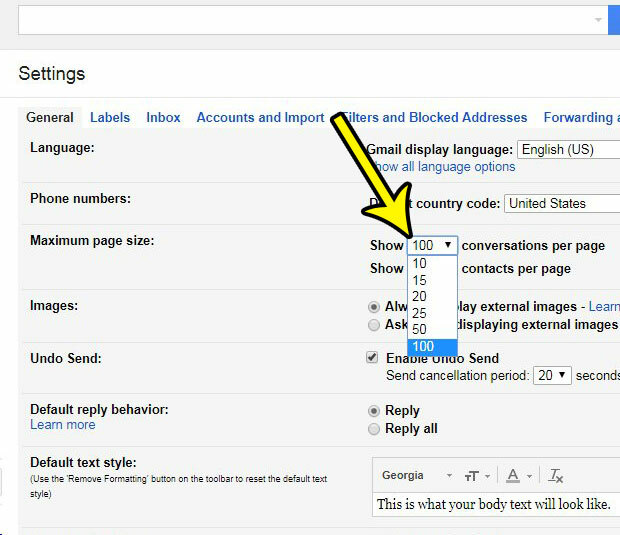 Fortunately you can increase the number of conversations shown on a page in Gmail, which can make it easier to see all (or more) of your new emails on one screen. Our guide below will show you where to find the setting that controls this display. The steps in this article were performed in the Web-browser version of Gmail. Specifically the Google Chrome browser. This will only affect the way your mail looks when you access it through a browser. Any other apps that you use to sync with your Gmail account, such as your iPhone’s Mail app or Microsoft Outlook, will continue to display the mail as they always have. Step 1: Go to your Gmail account at https://mail.google.com. Sign into the account if you are not already signed into it. Step 2: Click the Gear icon at the top-right of the window, then select the Settings option. 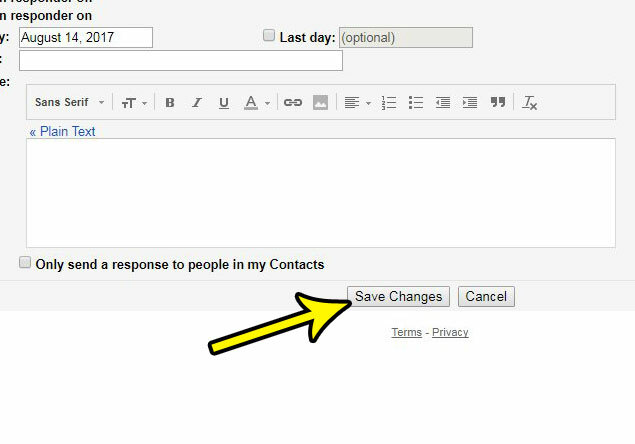 Step 3: Click the dropdown menu to the right of Maximum page size and choose the number of conversations that you would like to show on the page. Step 4: Scroll to the bottom of the menu and click the Save changes button. Are you thinking about canceling your cable package, and you aren’t quite sure what you need to get, and if it’s capable of what you want? Read our Amazon Fire TV Stick FAQ and see if a device like that is what you are looking for.